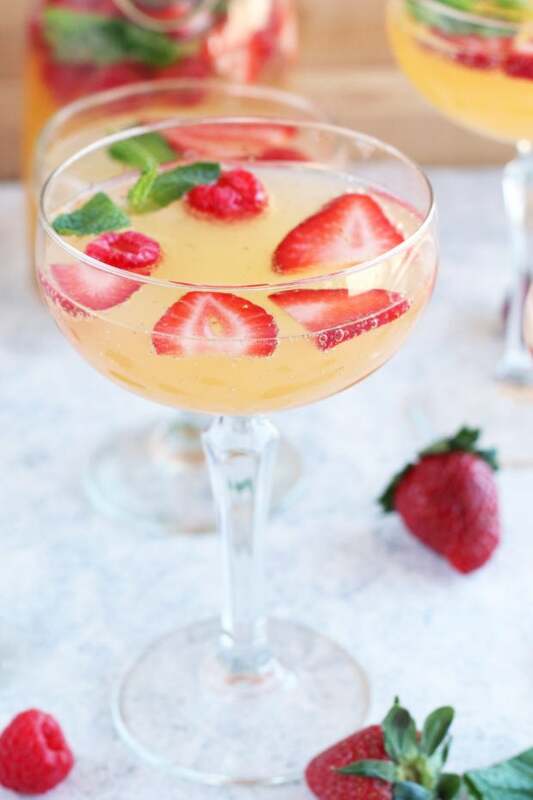 Easy Champagne Sangria is a bubbly and bright sipper to help you usher in the new season! 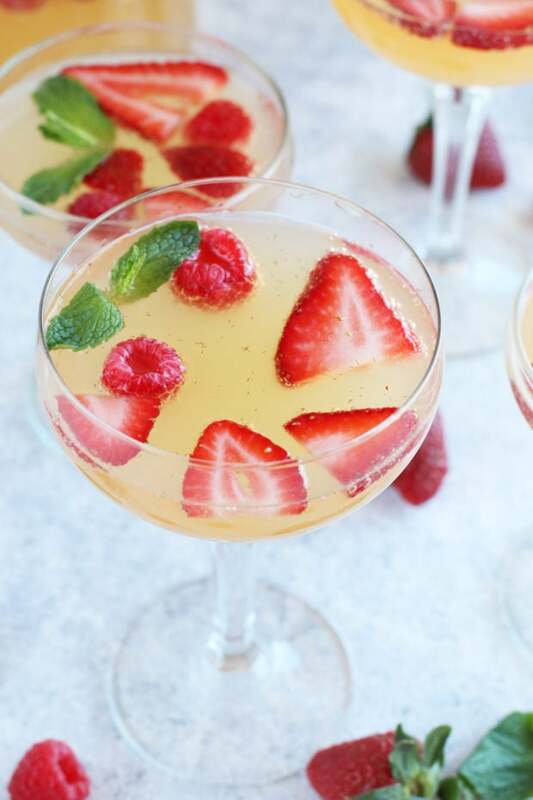 The sweet and tart combination of raspberries, strawberries and mint when added to the champagne make for a fun and easy sangria that everyone will gather around this spring. Serve it up for brunch or a late afternoon happy hour! Thursdays are for happy bubbly things, am I right?! Since it isn’t Friday, I feel like we all need a little something to raise our spirits so we can get through the last day before the first official Spring weekend rolls in. Are you starting to feel the changing of the seasons yet? Even if the weather is being true to form for Colorado (see: random snow storms, gorgeous sunny days, and intense wind), I am starting to see it in small ways. The sun is out later. The fruits and vegetables are changing in the store. All signs point to warmer weather and a whole new menu to play with. 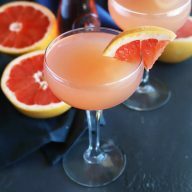 To celebrate all things Spring, I figured we all need a refreshing sipper to tickle our noses and bounce all over our taste buds. 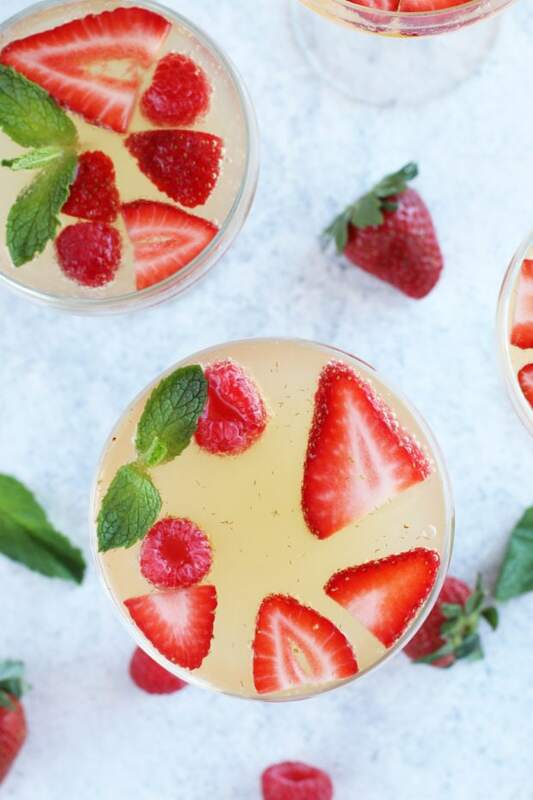 Whether you have a girls happy hour coming up, an Easter brunch, or simply need a way to use up all those berries you started stocking up on, this easy-to-make sangria is pure perfection. 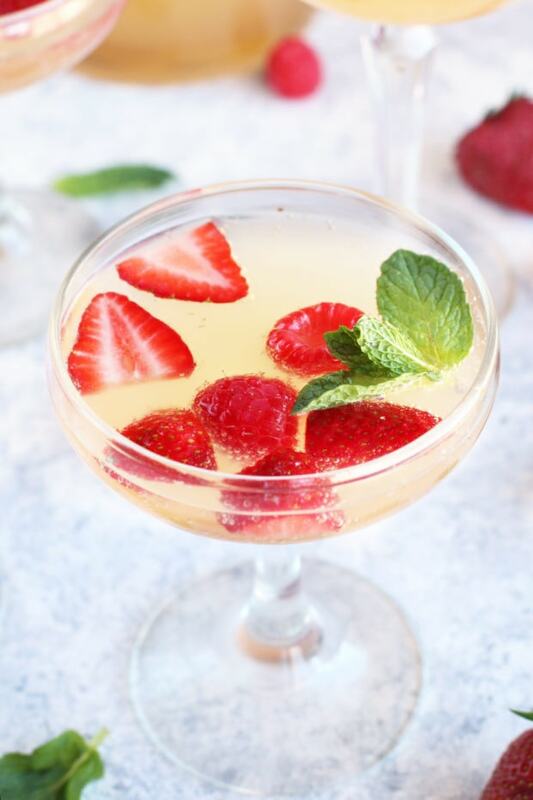 With a homemade raspberry simple syrup to counter the tartness of the berries, this recipe gives a fresh zing of flavor with every single sip. 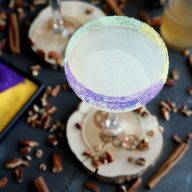 I personally recommend using a dry champagne for this recipe so it doesn’t come out too sweet when you put it all together. So as the weather starts warming up and the flowers begin to blossom, take a seat on your porch with a glass full of bubbly bliss. Isn’t it time we all slowed down to watch the seasons change? is also a great set if you need some glasses and a pitcher for your kitchen. 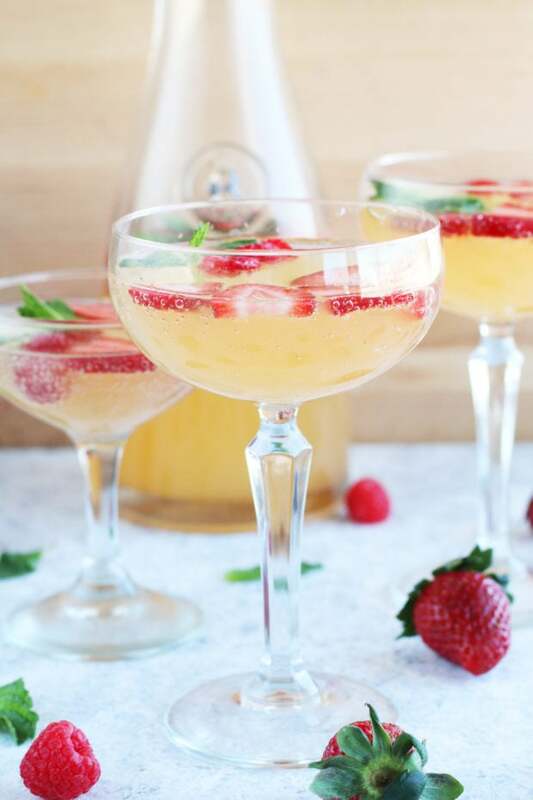 Pin this Easy Champagne Sangria recipe for later! 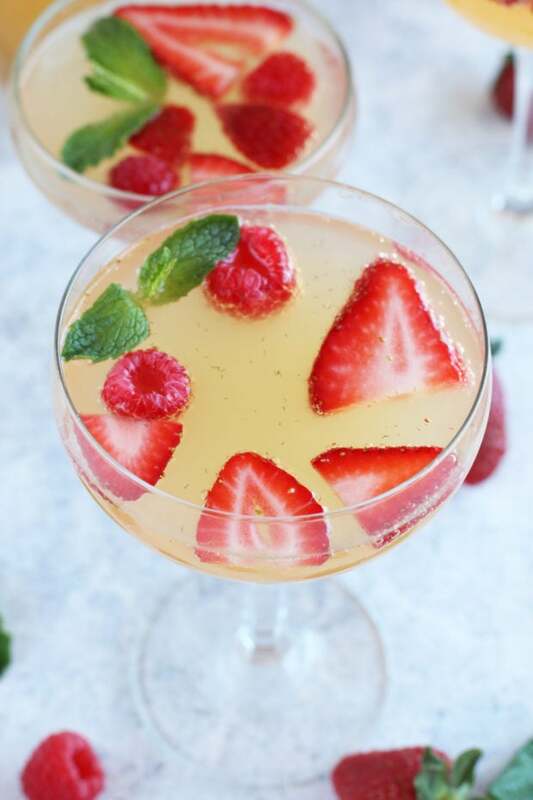 An easy champagne sangria that takes minimal time to pull together and is packed with tons of spring berry flavor! To make the raspberry mint simple syrup, combine sugar, water, mint leaves and raspberries in a small saucepan. Bring mixture to a boil, reduce heat and simmer for 5 minutes, stirring occasionally until the sugar is dissolved. Remove from heat, cover and let cool for 20 minutes. Strain before using. 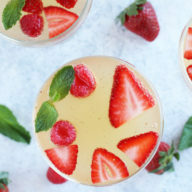 To make the champagne sangria, combine champagne, orange juice, raspberry mint simple syrup, raspberries, and strawberries. 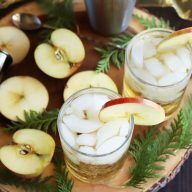 Serve immediately in coupe glasses, making sure to get the fruit in the glasses. Garnish with a fresh mint sprig.